Want to avoid long lines at Disney World? In 2014, Disney replaced its FastPass attraction-reservation system with the far more flexible FastPass+. The new version of the system is part of MyMagic+, which combines a mobile app with wearable MagicBands. Like the old system, Disney FastPass+ lets families relax with the knowledge that their must-do experiences are locked in, so that they can use the rest of their time having fun on other attractions. But with the new system, there's no more running around the parks locking in one FastPass at a time and then having to run back when it's your time to ride. The new system is far less stressful. Another big difference between the old system and FastPass+ is that the new system lets you reserve access to your favorite rides and attractions in advance. Staying at a Disney World Resort hotel? One of the best guest perks is that you may make FastPass+ selections up to 60 days in advance of your visit, for each day you have a park ticket. Not staying at an on-site hotel? Disney Passholders and day guests are able to make FastPass+ selections 30 days in advance of their trip once tickets are purchased. There are now more than double the number of attractions and experiences available as a FastPass+, including fireworks and parade viewing areas, shows and Disney character meet-and-greets. See How to use Disney's MyMagic+ and MagicBands. Even before arriving in the parks, you can choose individual FastPass+ experiences and times. You can select available experiences one by one for the times that best meet your needs for a more customized selection. You can make one, two or three advance FastPass+ selections. You can make up to three FastPass+ selections in advance. However, if you’d like to be able to select just one or two, you can to do that, too. You can make changes to your FastPass+ selections on the fly, right up to the time they are redeemed, even during the day you are visiting the park. Changes can be made with the free My Disney Experience mobile app or through kiosks located in Walt Disney World parks. Run out of FastPasses? 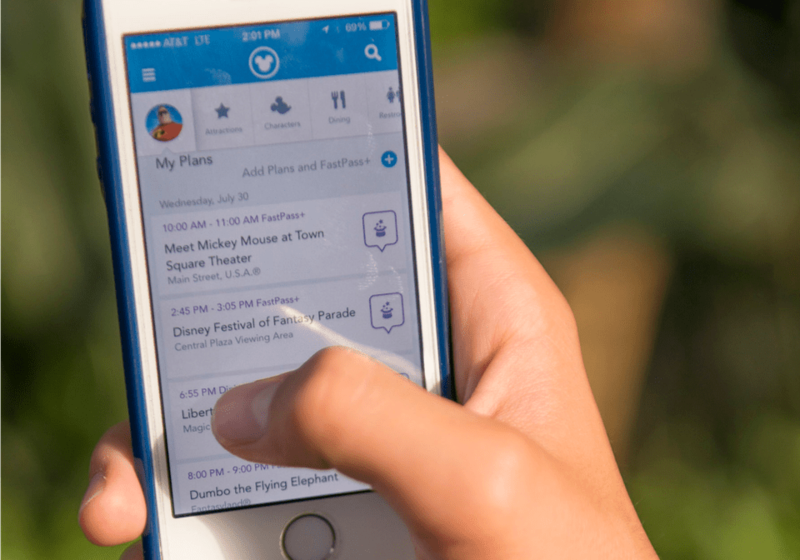 After redeeming the first three FastPasses, you can make one additional FastPass selection, either at a FastPass+ kiosk in the park or on the MyDisneyExperience mobile app. After you’ve used your fourth FastPass+ selection, you can select another, and so on—either at a kiosk or with the app. If your ticket has park-hopping privileges, you are able make your additional selections at another park. Keep in mind, however, that those FastPass+ selections must be made at a kiosk in the park where the desired experience is located. Plan to arrive early at the parks. If you are staying at a Disney World Resort Hotel, pay attention to which park is offering early Extra Magic Hours. This perk allows guests of Disney hotels, to enter a designated park an hour before the official opening time. During this window, the regular line at even the most popular attractions is negligible, so you can ride without using up a FastPass+ at least once and probably twice with very little waiting. Even if you get to a park at the regular opening time, the line is likely to be relatively short first thing in the morning. Start scheduling your first FastPass+ after 10am, when the crowds really start pouring in and wait times at the top rides begin to get quite long. Be willing to split up. From time to time, it may make sense for your family to divide and conquer. Let's say you're in the Magic Kingdom and your preteen wants to ride Space Mountain, while your kindergartner wants to meet her favorite princess at Princess Fairytale Hall. Guests within the same party can elect different FastPass+ choices at the same time window.